The Honorable Minister, Tracy Taegar-Panton, along with a delegation from the Ministry of Investment, Trade and Commerce, including the Belize Bureau of Standards (BBS) and the Investment Policy and Compliance Unit (IPCU), conducted its first series of site tours of several companies in the Stann Creek District. The companies that were visited are mainly agro-processors and farms that supply citrus and fruits for the export market. The main objective of the site visit was to get a better appreciation of the investments on the ground and afforded exporters/investors a chance to share any challenges that they are facing in doing business in Belize. The delegation was especially interested in the concerns investors had on the possible effects of the newly legislated Designated Processing Areas (DPA) Act which was passed into law on December 22nd, 2018 as a replacement of Belize’s Export Processing Zone (EPZ) Act to seek compliance with the World Trade Organization (WTO) and the European Union’s Code of Conduct for Harmful Tax Practices. This was the first leg of the visit and included tours of Marie Sharp’s Fine Food Limited, Belize Food Products Limited, Citrus Company of Belize Limited, Belize Citrus Feed Limited, Valley Manufacturing Company Limited, Citrus Growers Association and also visits to pineapple and soursop farms and young citrus groves. The second part of the visit will be held the next week and will include Aquablue Shrimp Hatchery, TexBel Limited and Fruit Processors Limited. The Stann Creek District is home to many of Belize’s export industries such as citrus, bananas, and aquaculture which highlights its importance in contributing significantly to Belize’s national economy. 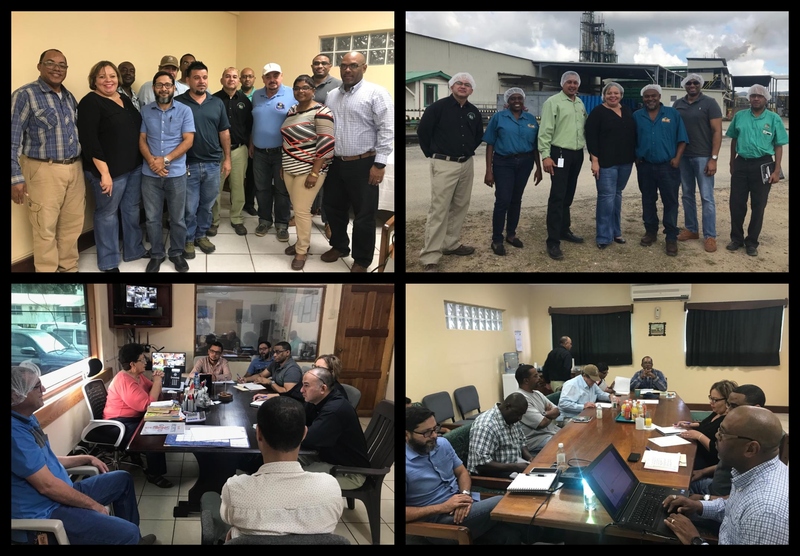 The visits revealed the growth of Belize’s agro-processing sector and its ongoing diversification into other fruits such as pineapples, soursop and coconuts. The Ministry of Investment, Trade and Commerce is committed to sustaining economic growth and enhancing the quality of life through people and enterprise.